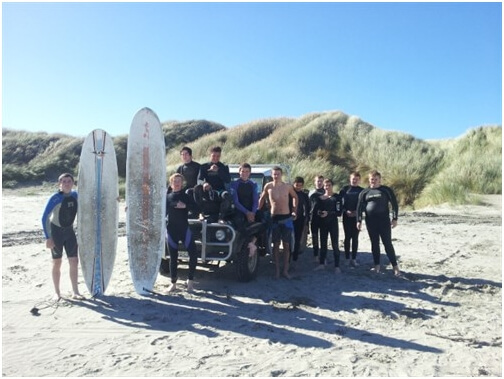 Outdoor education is a big part of the senior curriculum here at Southland Boys’ High School and provides students with an exciting range of opportunities and activities in and around the Southland region. The outdoors exposes our true selves. A sustained physical challenge away from familiar comforts allows our real personality and character to show. These experiences allow students who do not always excell at other school pursuits to out-perform against their own expectations. The Outdoor Education programme is essentially the study of adventure pursuits, development of inter-personal skills and personal qualities that builds confidence and skills. This group of boys achieved their Surf Lifesaving Certificate. A great achievement.